After 200 years of barbarian invasions breaking up the Carolingian Empire, as we saw in my last article, the laws of each country were no longer intact. So, how did the re-organization of law take place? The customs of each area that developed from the new situations gradually changed the previous laws, creating new rights and obligations. This happened organically, through the customs themselves, without the need for representatives of the people to write and vote on new laws and regulations as happens today in modern democracies. Thus, when the invasions ended, the Middle Ages was facing a new reality. Europe was filled with castles of barons, where each one had made a small State of his fief. Each fiefdom had its own laws that had sprouted up from the different concrete circumstances, from men who were fully involved in the field of each set of laws. For example, someone who sold cattle would know all the local customs that regulated the sale of cattle. Later those customs would be codified, filling up several hundred pages on the topic, presenting solutions for every complication that could arise in the sale of cattle in that region. 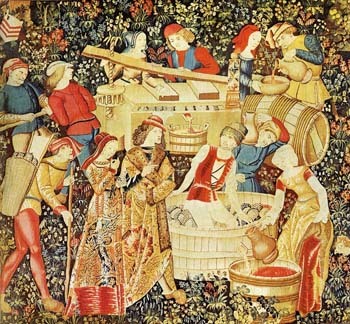 Another example would be the feudal lord who had a working relationship with the peasants who harvested his vineyard. He and the peasants knew about what was needed to conduct the work and business. The laws rose naturally reflecting that understanding, and thus were deeply rooted in the day-to-day reality. The characteristic of those laws, therefore, was that they were made by people who were actually involved with the work or trade. It is the opposite of modern times, when laws are written by men who are almost completely ignorant of the work or trade for which they are passing legislation. The medieval laws would also change organically to conform to the new situations and customs. This was how customary or consuetudinary law was born. During that time, what did happen to the State laws? As a matter of fact, what we call the State today was represented then by the King. The King was the State. If Louis XIV had made that statement attributed to him – “l’Etat c’est moi” [I am the State] – and if he were living in the Middle Ages, that phrase probably would have never been recorded since it was common knowledge: everyone knew that the only power representing the State was the King. What was the role of the King in the enactment of law? 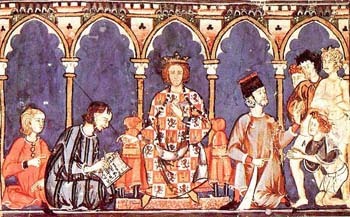 During the period of the invasions, the Kings issued royal decrees granting privileges that favored the Church, groups of barons or the bourgeois. In general those decrees were small concessions of privileges of a local nature. For example, during that period French Law did not record a single law of a general character that would pertain to the whole territory of France. This is even truer with regard to Spanish Law. To re-conquer the Iberian Peninsula from the Arabs, the Spanish warriors of Visigoth origin spent seven centuries continuously fighting to expel the Muslim invader. During that time they were not making laws; rather, local customs were modeling the laws in the rearguard while the warriors fought in the vanguard. Thus, all the regions of Europe developed their singular and interesting customs, such as the rich customs of Portugal, one of the countries were consuetudinary law achieved one of its more interesting expressions. Today, if some Argentinean crosses the border and purchases land in Brazil, it is Brazilian law that governs this acquisition. The same applies if the buyer is Japanese or Syrian. In the Middle Ages, as a consequence of the invasions, it was different. The laws applied were personal laws. In France, before Charlemagne, each person followed the law of the region from which he came, and that law continued to take precedence even when he moved to another area. So, if four men – one from Burgundy, another from Savoy, another from Brittany and the last from Gallia – were to engage in business, four different laws were involved. You can imagine the juridical mayhem this produced. Gradually, however, those laws were reconciled and by the 9th century, which was the century of Charlemagne, the melding was complete. By the 10th century, personal laws had been set aside. An important element in achieving that harmonization was the influence of the law that governed the largest number of people of an area, as well as the role of their customs. Another factor appeared when the relationship between men generated specific laws in each region and place. Let us say, for example, that the leather merchants shared among themselves problems in competitive relationships calling for agreement and mutual support in their common needs. On the other hand, they had relationships and agreements with their clients. 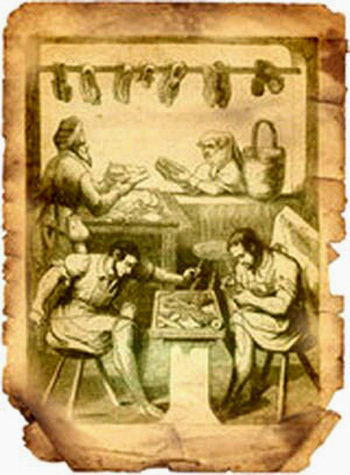 Since the State did not issue laws, the leather merchants would issue their own laws that applied specifically to them. For instance, when a client did not pay one of the leather merchants, he would be blacklisted by the whole group, who would refuse to sell anything to that person until he had paid his debt. This reflects the class spirit that existed among the leather merchants as a whole. They all respected and abided by the law that governed their class of leather merchants. That law would not apply to other trades and groups, which would develop their own customary laws to meet their particular needs. Thus, inside those small unities, customary laws began to appear to govern the different social groups. There were laws that pertained only to certain clergymen of a certain place, to a fixed number of nobles in a particular region, to the bourgeois of this or that city. Likewise, there were specific laws that applied only to certain professions. So, there were special laws for woodcutters, blacksmiths, fishermen, etc. that were implemented differently according to the region or place. François Olivier-Martin, a renowned French legal historian and professor, thus concludes that by the time of the High Middle Ages, each social group was ruled by its own customs, its own law, known as customary law.